Oh yeah! Taiwanese indie pop favourite Crowd Lu returns to Singapore after seven years! At times optimistic and quirky, other times thoughtful and life-affirming, Crowd’s songs are born out of the simple and good things in life, and his concerts are filled with hope and celebrations of life’s fleeting beauty. 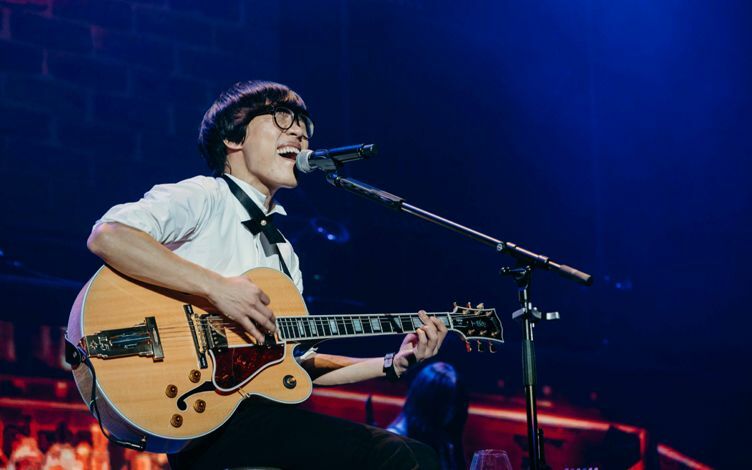 Since bursting onto the music scene, Crowd has released five albums, eight singles, and four concerts at the Taipei Arena, and he recently set a record for selling out his Taipei Spring World Tour concert in 28 seconds! Crowd has also won the Golden Melody Awards for Best New Artist and Best Composer, and is regarded as an influential music genius with an ardent following. This time around, fresh from recent successful concerts in Taiwan and Japan, he presents hits and popular songs from his entire discography. Get onboard for an exhilarating evening with Crowd Lu!